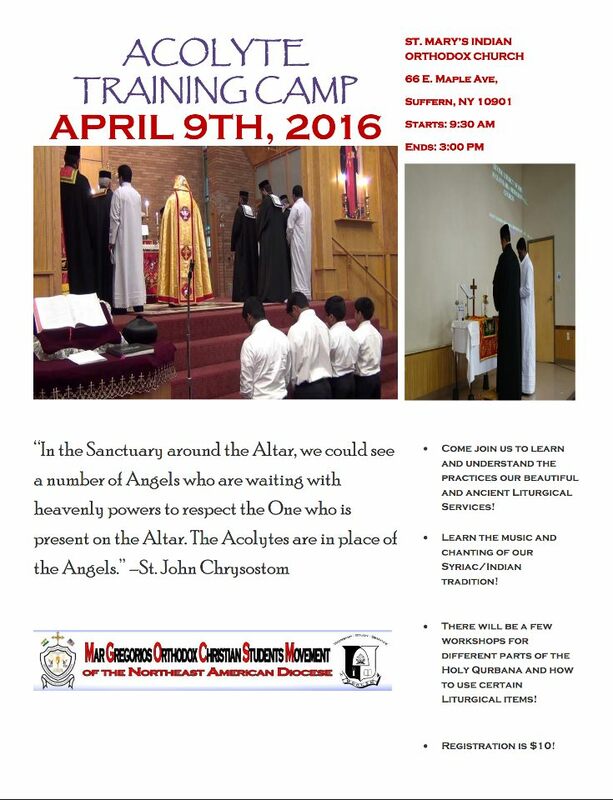 There will be an Acolyte Training Camp on Saturday, April 9th at 9:30 AM at St. Mary's Indian Orthodox Church, (66 E. Maple Avenue Suffern, NY 10901) Suffern, NY. There will be Various sessions and workshops that will help train and educate all current and future acolytes, as well as those just interested in learning more about the Holy Liturgy! Come and be blessed! Online Registration for the event will be posted soon. Stay tuned! Contact your parish representative or NJSI council member for more information!